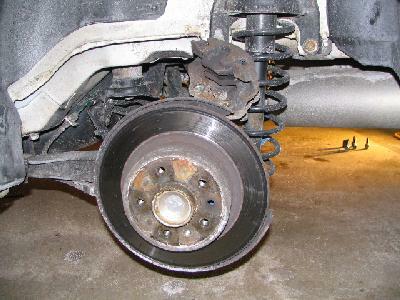 First, loosen all the wheel bolts 1/2 turn, jack up the car and place a jack stand at the SAAB recommended point and remove the wheels. 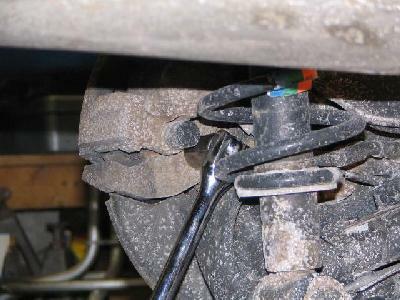 SAAB has the jack stand points listed in your owners manual. Use the hex wrench or torx socket to loosen the screw that holds the rotor to the hub. 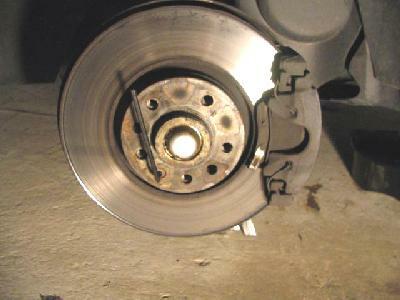 You may need to apply the brake to get this loose so you want to remove this screw before anything else! This screw is only used to hold the rotor in place when the caliper is removed. Once the wheel is on, the wheel lugs will hold the rotor in place. If you strip the bolt, just drill out the screw. Some companies include a new screw with the new rotor. 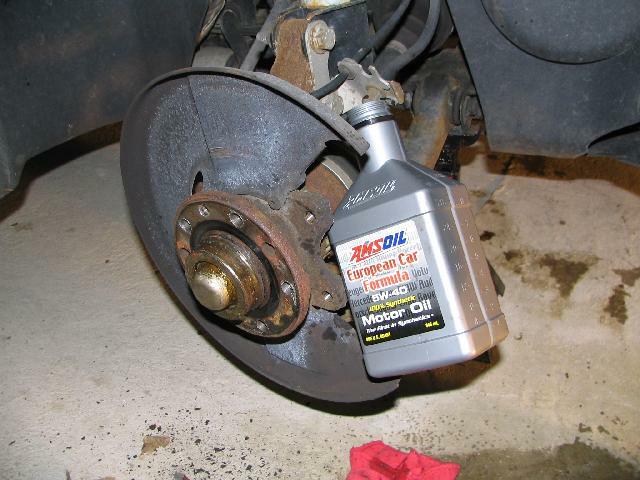 If you are replacing or rebuilding your calipers, then loosen the brake line from the caliper. 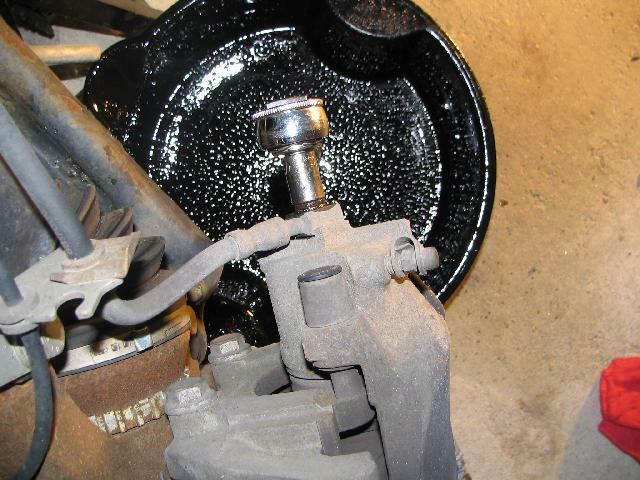 Now unscrew the two 19mm or E-20 caliper bolts and remove the caliper from the hub. The rotor should come off after some good hits with the big hammer from behind. Spin the rotor around so you hit all around the rotor. I have heard of the rotor being severely rusted to the hub. Before giving up, purchase a small bottle of MAPP gas and a hand-held torch. Heat the middle of the rotor up and use the hammer some more. Also spray some penetrating lube inside each of the lug holes to get between the rotor and hub. 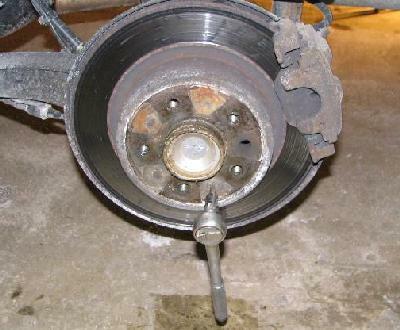 If all of this doesn't work, then put your caliper back on and take your car to a pro! 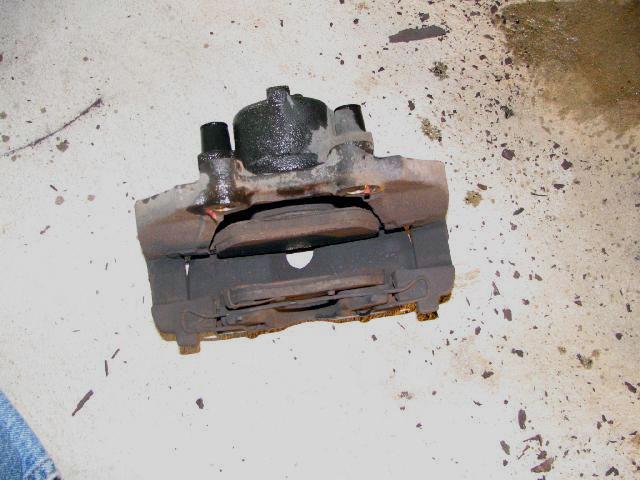 Now it's time to rebuild the caliper!